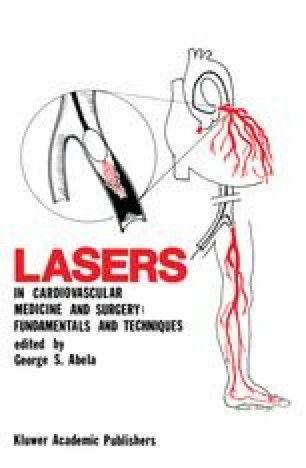 Not long after the first laser was built from a synthetic ruby crystal in I960 , its use for removal of atherosclerotic plaque was investigated by McGuff et al. . Further advances in the technology of lasers and optical fibers stimulated renewed interest in the application of high-intensity light energy for ablation of arterial plaque. The laser’s potential for precise tissue ablation, controlled energy delivery, and fiberoptic transmission to remote targets afforded unique advantages for both intraoperative and catheter-directed treatment of arterial disease. Clinical trials are currently evaluating the role of lasers for revascularization, whether used separately or in combination with balloon angioplasty or bypass surgery.